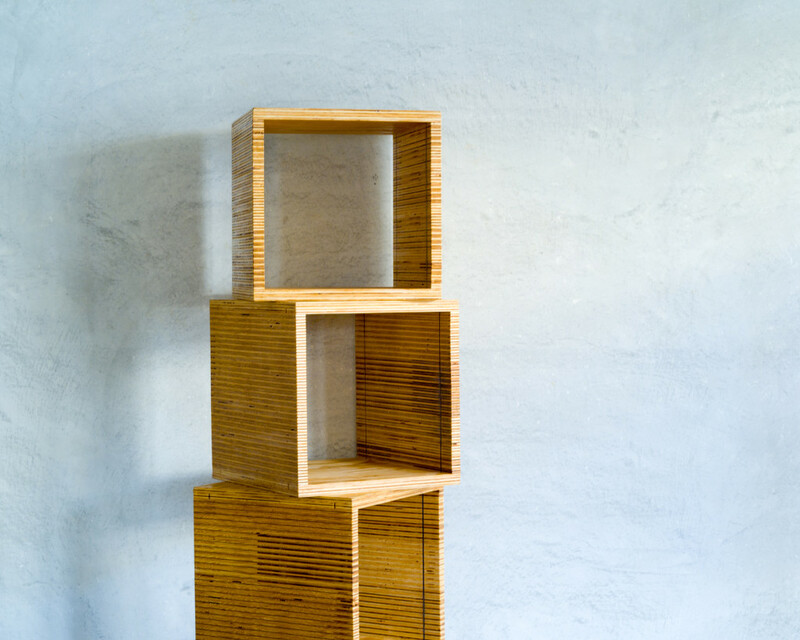 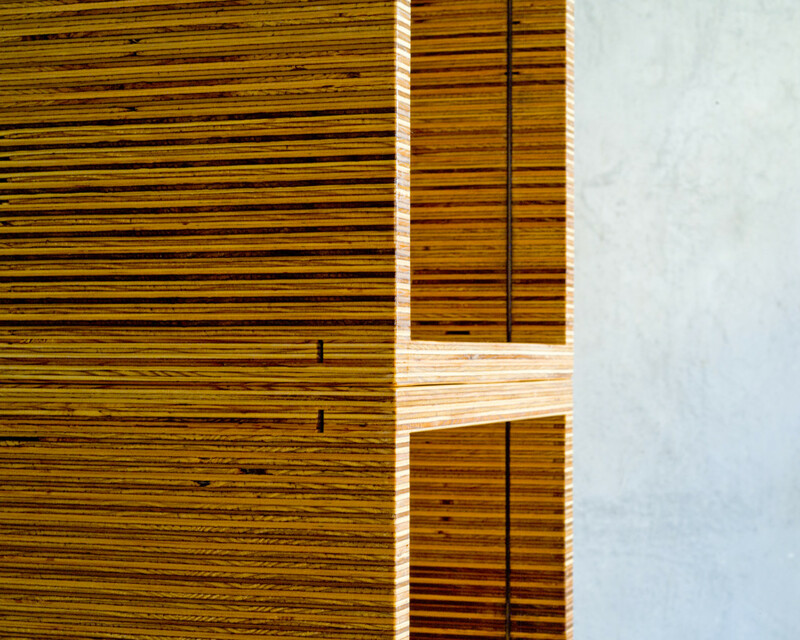 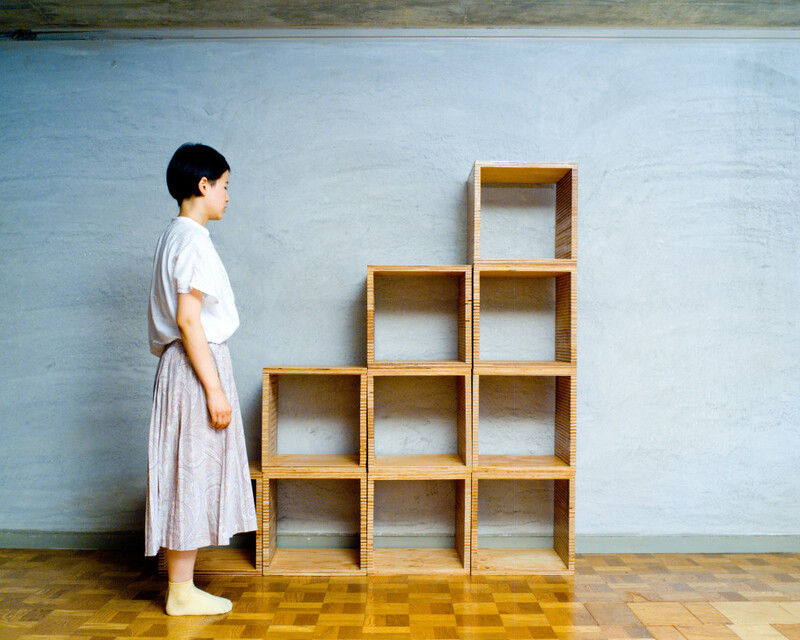 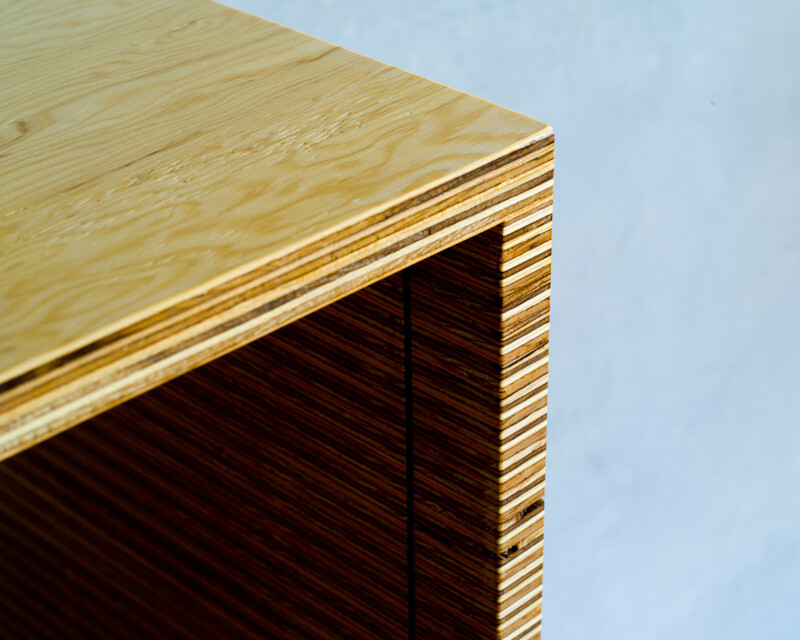 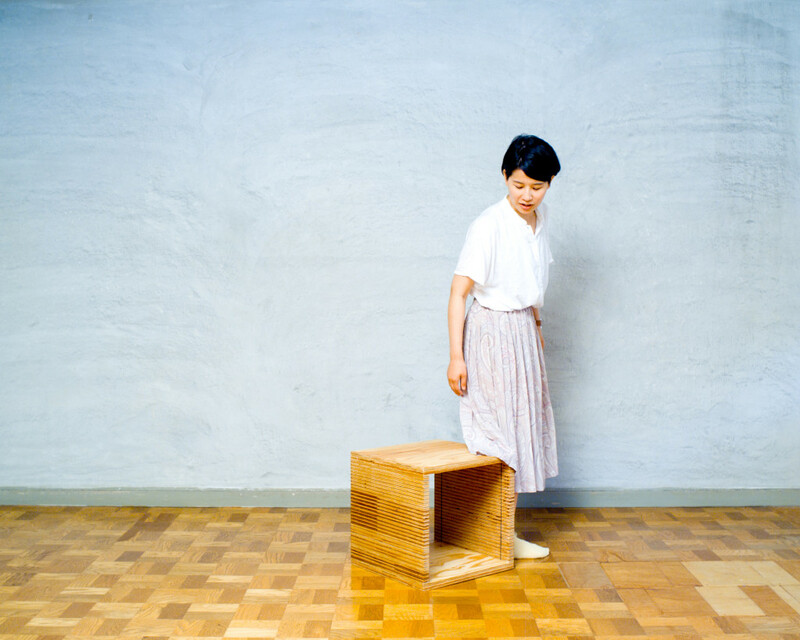 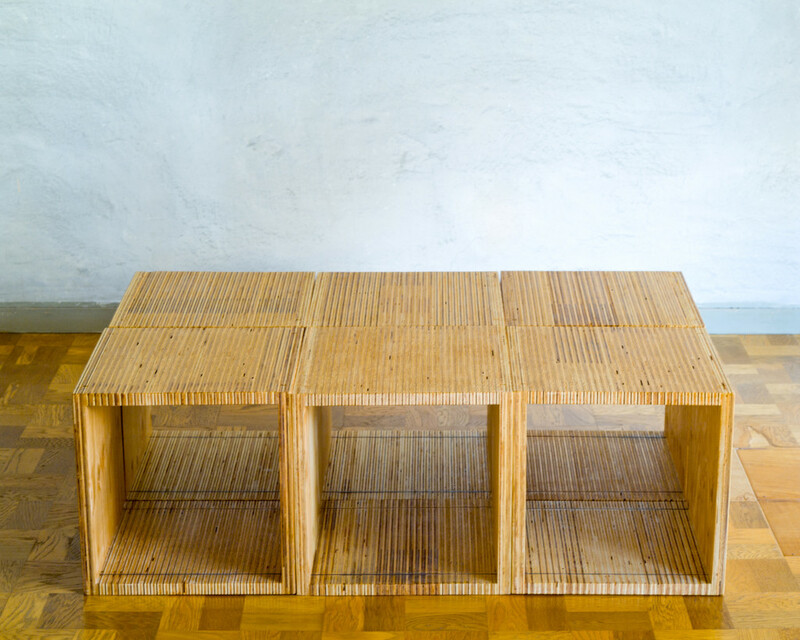 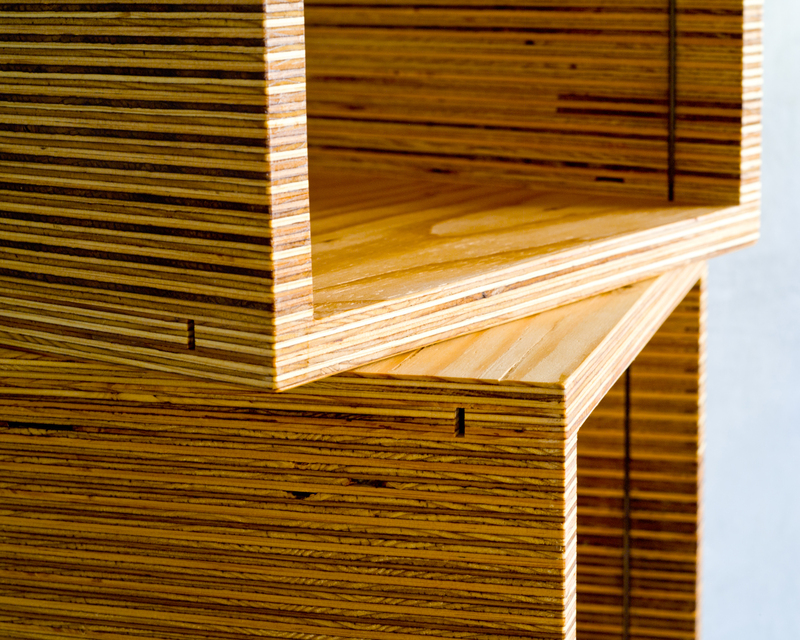 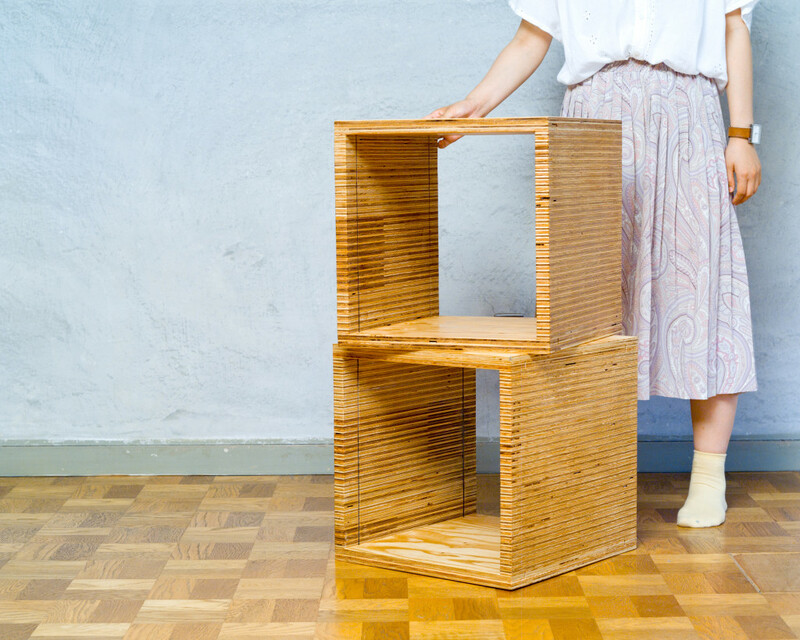 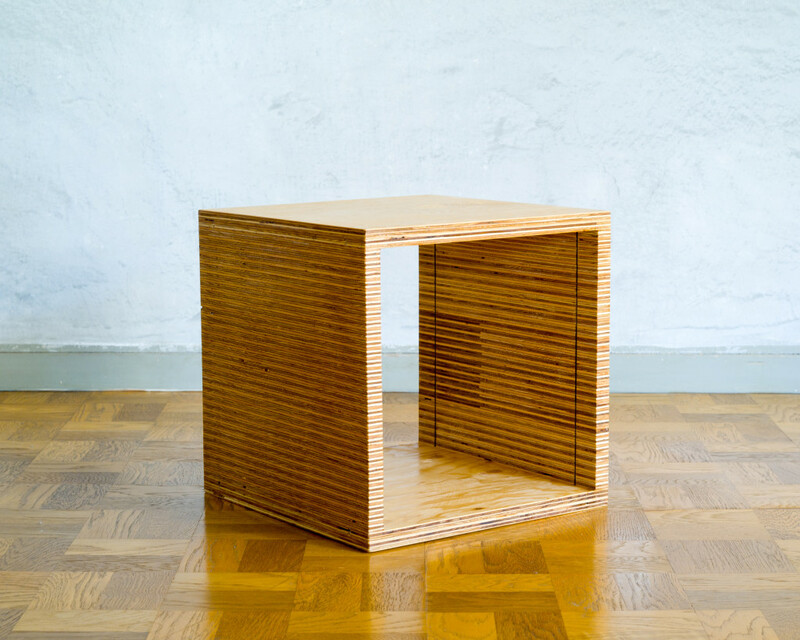 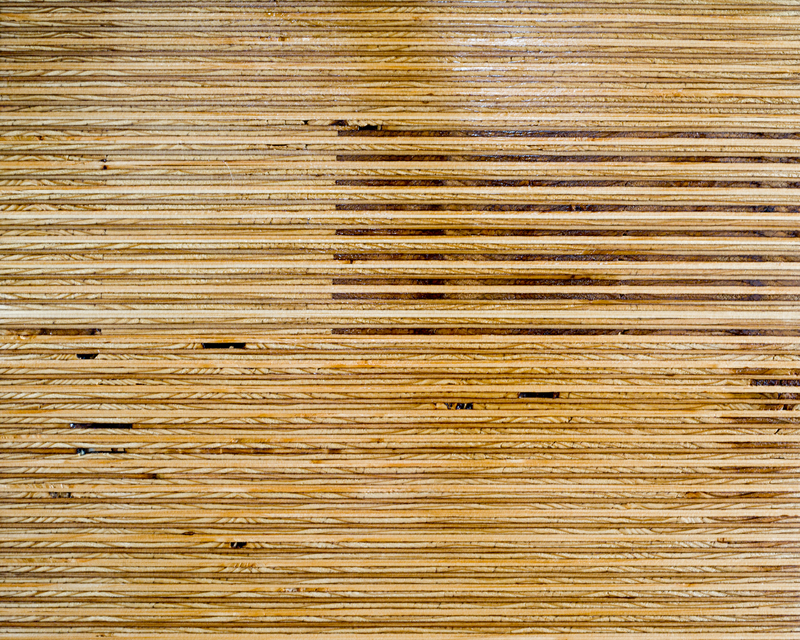 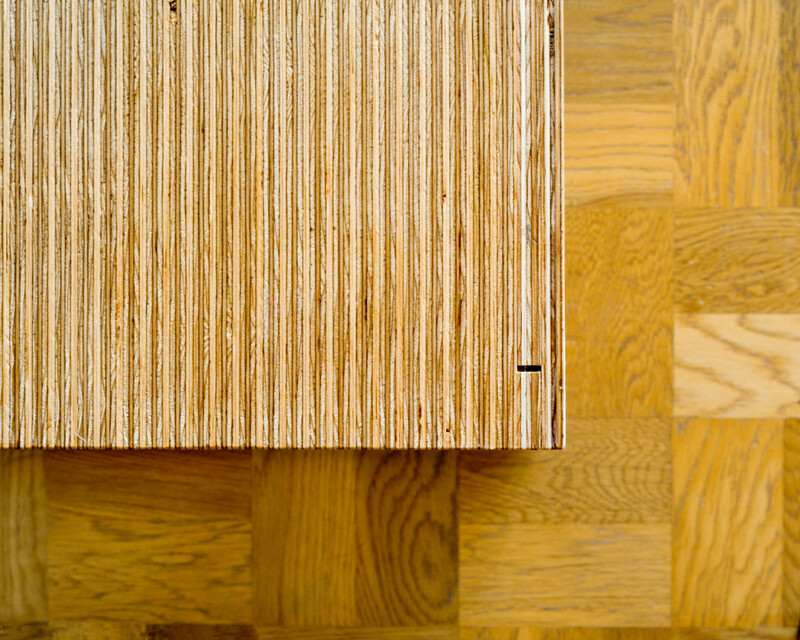 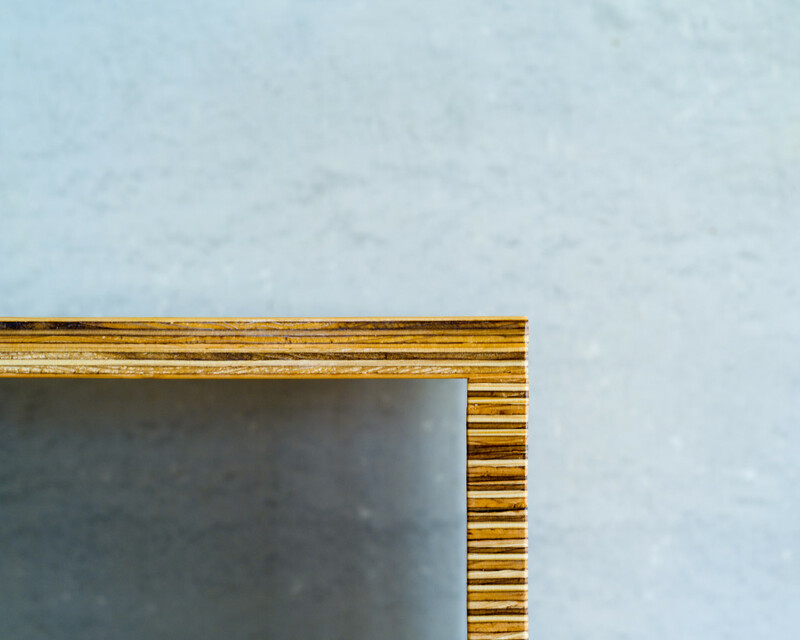 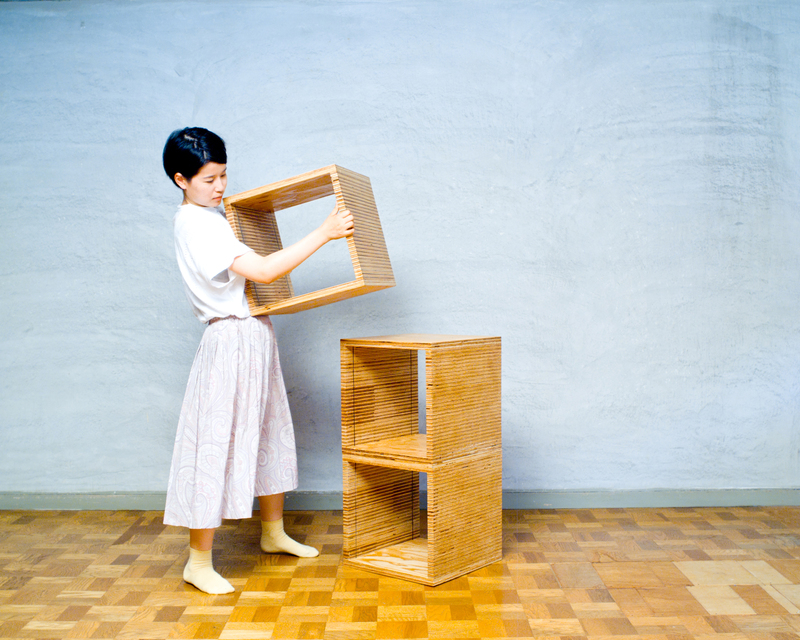 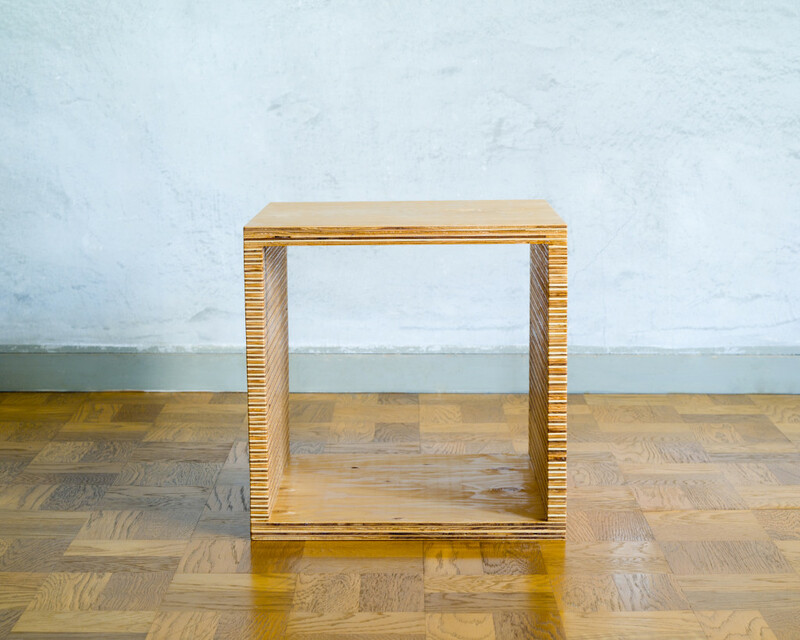 Furniture using plywood which is the base material of building. 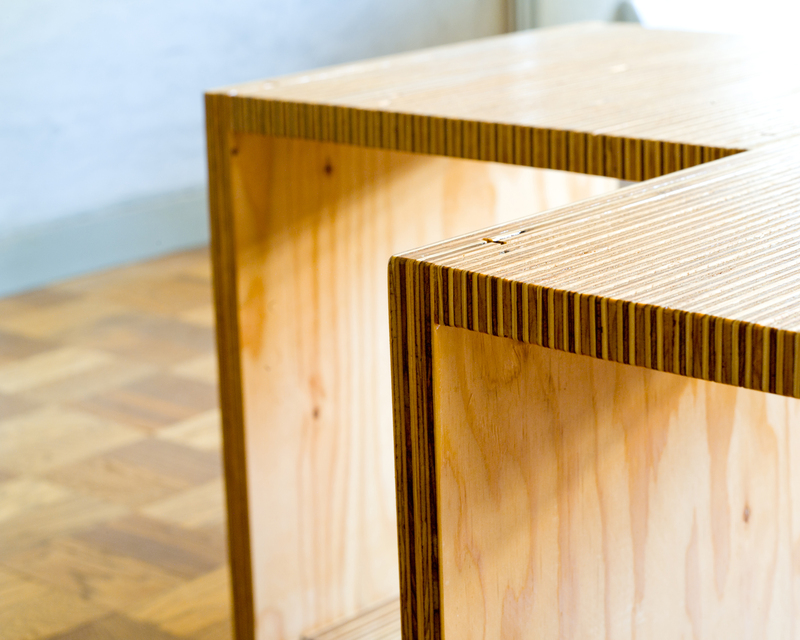 We designed furniture with standard box type usable in various places. 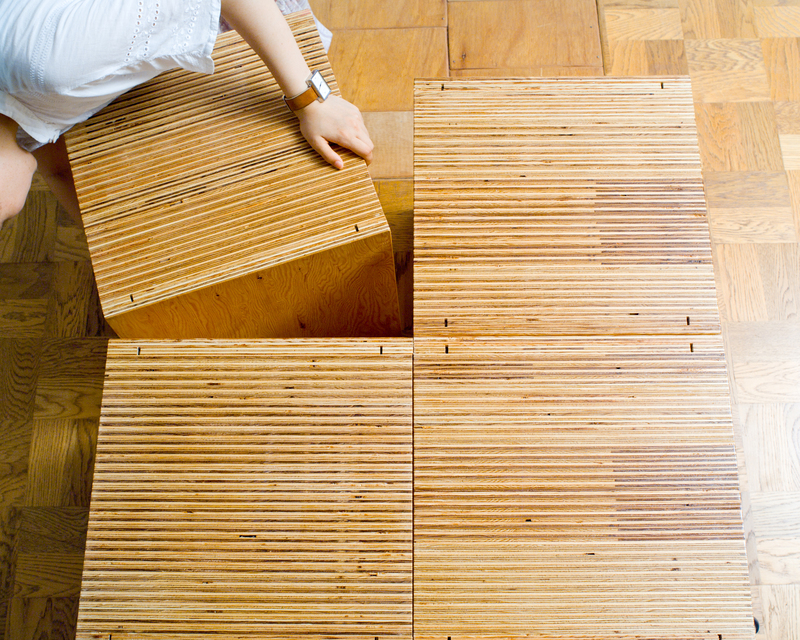 By repeating plywood cross-sectional direction, we created new materials expression. 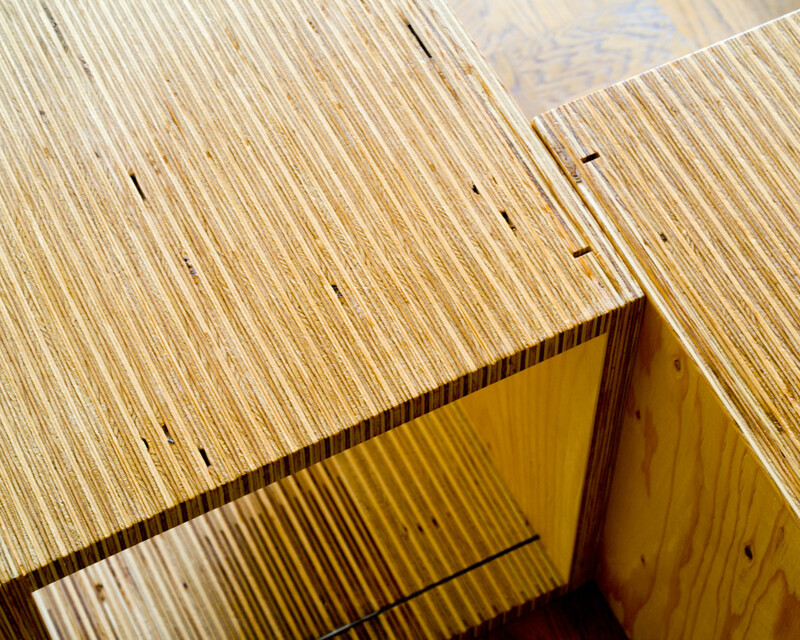 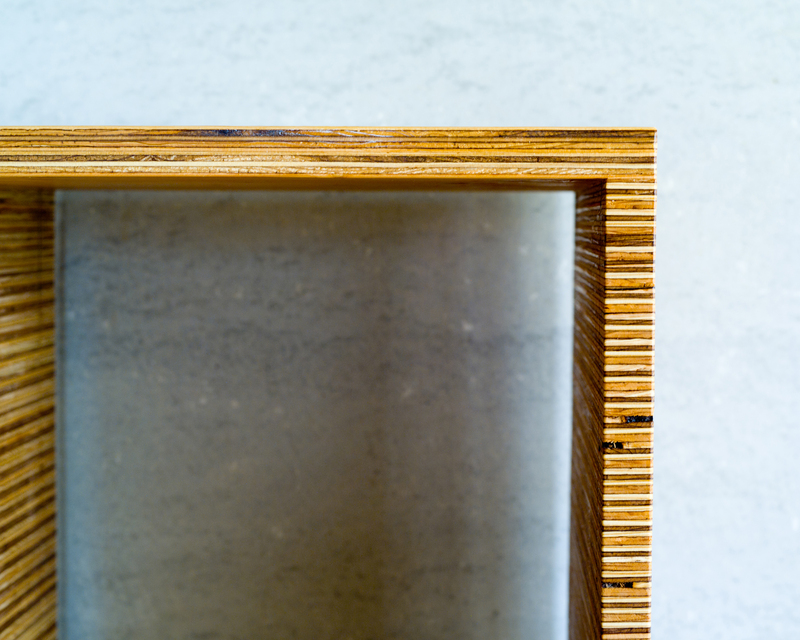 These materials are produced by diverting remaining materials from other projects.